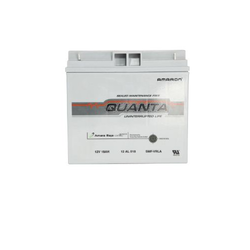 Our superior quality Quanta SMF Battery display extended life, deep discharge recovery and hassle free power supply. These SMF batteries engage lead-calcium grid for extended life, high performance, low self-discharge, and zero effect on memory. SMF are available in the capacity range of 07 AH to 200AH. 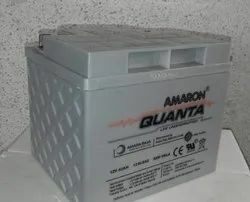 It is a Product of world class battery technology produced and tested in Amara Raja’s premier VRLA manufacturing facility, supported by technology expertise from alliance partner Johnson Control Inc. A market leader in just 10 years, Amaron Quanta is a preferred 12V VRLA SMF battery brand by most of India’s reputed UPS manufacturers and customers across various segments like Banks, IT Companies, BPOs, Industries, Government Departments, Hospital, and Education Institutes etc. 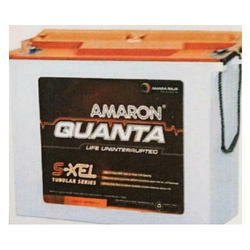 Our company is instrumental in offering optimum quality Amaron Tubular Batteries to our valuable customers. At the vendors’ end, these batteries are manufactured in adherence to the industry set standards by using cutting-edge machinery. Due to their eco-friendly design, low maintenance, high performance and longer service life, these batteries are highly demanded. Our company has set benchmark in offering Exide UPS Batteries to the clients. These products are thoroughly checked on various parameters by procurement team. Exide UPS Batteries are ideal for emergency power back up application at home, offices, business centers and shops. Offered range can also be customized as per client specification to meet their expectations. These products are designed using topmost grade material and latest technology in tandem with set industrial norms at vendors end. 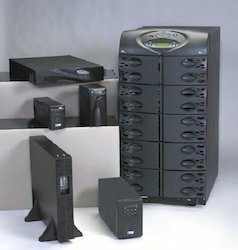 We are engaged in offering our clients a comprehensive range of UPS Systems. 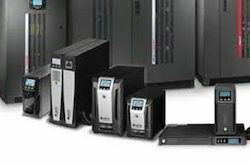 UPS System products are procured from reliable vendors and are specially designed with voltage regulators to avoid the current fluctuations and LEDs to display power information. 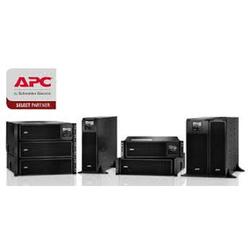 Our UPS System's product range is available in different models and is also tailored as per our clients’ specifications. We are renowned and trusted enterprises in the industry, offering a best quality array of Online UPS to our esteemed customers. Annual Turnover2009-10 Rs. 2 - 5 Crore Approx. AROMA POWER – Distributors of AMRON QUANTA UPS Batteries. KUSHAL TECHNOLOGIES itself offers Business solutions in the area of Online UPS, Inverters, Stabilizers, Battery Chargers. We also deal in LED Video Walls for Outdoor Advertisements & Indoor Events with brand neutral solutions complemented by efficient & proactive services. KUSHAL TECHNOLOGIES is also into Rapid Prototyping 3D Printing Machines & Service Bureau Useful in Automotive, Engineering, Electronic, Plastic, Consumer & Lifestyle Products, Design & Product Development, R & D Dept., Education etc. KUSHAL TECHNOLOGIES has been diligently serving wide array of clients since 2006. Our core ethos is Trust, Integrity and Excellence. We are reputed as one of the most reliable and resourceful Solution & Service providers in the industry.